Across the human sciences, the study of German Idealism has experienced a renaissance. Hegel’s and Fichte’s accounts of individual autonomy, their contributions to the fields of epistemology, metaphysics, philosophy of mind, philosophy of art, and political philosophy have been rediscovered. In the Anglophone world, the philosophy of F.W.J. 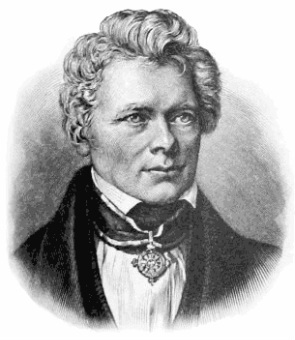 Schelling remains relatively unknown. If Schelling is at all discussed, then it is often as a predecessor to Hegel and not as a philosopher in his own right. Yet the significance of his contribution to the fields of aesthetics and philosophy of art, philosophy of nature and environmental philosophy, late 19th and 20th century existentialism is unquestionable. The Symposium on the Philosophy of F.W.J. Schelling is co-organized by the International Center for Philosophy at Bonn University and the Department of Philosophy at Temple University. It brings together an international group of scholars from Germany, UK, USA, Australia, and Mexico in order to engage in a dialogue on Schelling’s philosophy in relation to a broad range of systematic issues that are of importance to us today, i.e., metaphysics, epistemology, aesthetics, philosophy of history, political philosophy, and, most of all, our modern conceptions of individual autonomy. The sponsors for this event include: The University of Bonn International Center for Philosophy, the Department of Philosophy at Temple University, the Office of International Affairs at Temple University, the Greater Philadelphia Philosophy Consortium, and the Center for the Humanities at Temple (CHAT)-Temple University.